Tell us something about your expertise and how long have you been in business? 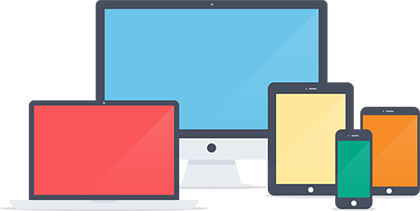 Our expertise extends to all aspects of the design function in digital media that includes logo design, app design, web design application development for mobiles. We have been helping clients overcoming their web design related objectives for the past 6 years. Are you also into logo design? Yes, we are into logo design for corporates and that is one of our main focus areas which gives us a foothold in the digital war-room of companies fighting for higher marketshare. Tell us something about your payment terms? We have a policy of taking 50% advance before we start a project. Most accomplished professionals ask for an advance and we follow the best practices in the industry. Once we have all the content (text and images), it should take 3-6 weeks for us to design and build a typical, small scale website of 8-10 pages. The most time consuming phase of any web project is collecting and writing the content. Yes, you own the website and you can make any changes you wish. If you have ordered a CMS based website you will be provided with a control panel in order to update your website online. If you have ordered a static website then all you need is a good knowledge of HTML and CSS. You would also require Html and image editing tools, FTP tools as well. If you wish our team could update the website on your behalf. Do you help with content and SEO? Yes, as per the budget and requirements specified by the clients, we do help with content writing and SEO and we have a dedicated team for this function. Yes, we have team of highly efficient content writers. Do you assist with hosting, web development and mobile apps? Yes, we help in all the three domains and we have separate packages for hosting, web design and mobile app development. Web design packages start from INR 6999/- and we also undertake conversion from PSD to HTML and we also develop ecommerce websites to help clients achieve their revenue objectives. What if I have the design, can you make a website out of it? Yes, we can convert from PSD to HTML as per your requirements. Depend upon requirement our minimum package start from 6999INR. How I can pay you? Are there any monthly fees and do you help with website updation? Yes, there are monthly fees associated with domain hosting and maintenance. For CMS based websites, you can make changes through the control panel while static websites would require knowledge of FTP tools, image-editing tools. Or better still we will help you master the basics so that you can manage your website on your own. Yes, only if we failed to deliver the product. 100% Privacy. I never share your details.